【Share Trip Works】 When you provide us to complete your editing VR Editor works directly through the VR Editor you can upload your VR work to our website to share. You must first apply for our website to join a membership account in order to share your work, then all of your share in this website works, can be carried out through the member account maintenance and to interact with the User. The site you are logged on the E-Mail account to do for your member account on this site can be completed to avoid you forgot your member account, so you should be with your most frequently used E-Mail account to apply for, this site Are there any news and information will be through your membership account (E-Mail account number) to contact you. You must have an E-Mail E-mail accounts. Click here Members to join the operation. Join members of the page will first be displayed on this site use agreement between you and the terms, please read, when you agree to the clause, at the bottom of the screen press the 『 I agree』. 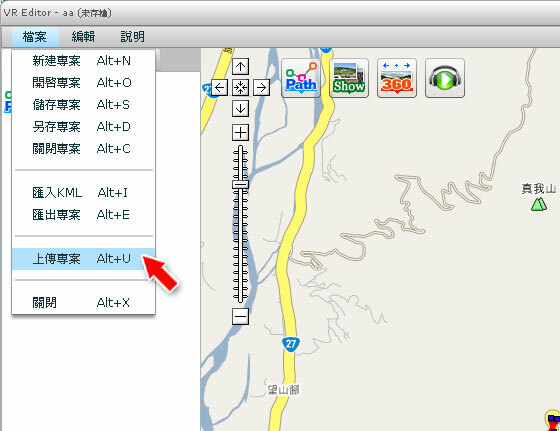 The system will guide you to the members of the data entry screen, the screen some field is necessary (marked with **) who all completed, press the bottom of the screen sent 『OK』. Then the system will send a Welcome to the members of this web site E-Mail confirmation message to your E-Mail mailbox. Requests to receive the message, and click in the message 『confirmation link』. Successfully joined this site become a member. If you have not received confirmation email, please click here to respond to your questions, or call 06-3124249. When you through the VR Editor of your creative work after VR, through the following steps to share your VR work netizens around the world watch. 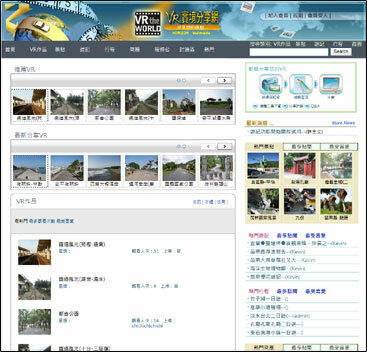 Click VR Editor's menu file "upload files, the following picture. 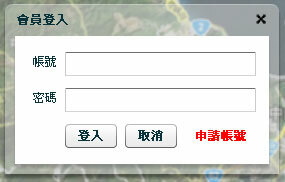 VR Editor will ask you to enter your application in this website Member ID and password, the following picture. Took over the VR Editor will begin to work for your VR compression and the work of the whole exchange, compression is completed VR Editor will report directly to begin. VR works when your upload is finished, VR Editor through the browser displays a successful message at the same time you want to share will be automatically imported profile input page of the VR work. Enter your VR work to complete the various presentations, information, sharing of work to complete the VR, the next you can go Home the latest area to see if you share the VR shared VR works. VR Editor's operating you can click here to download and view the instructions and operating manual. VR works to share the discussion, you can click here to see and discuss.